Tomorrow is a pivotal day for the Dakota Power Community Wind project and Lincoln County residents. 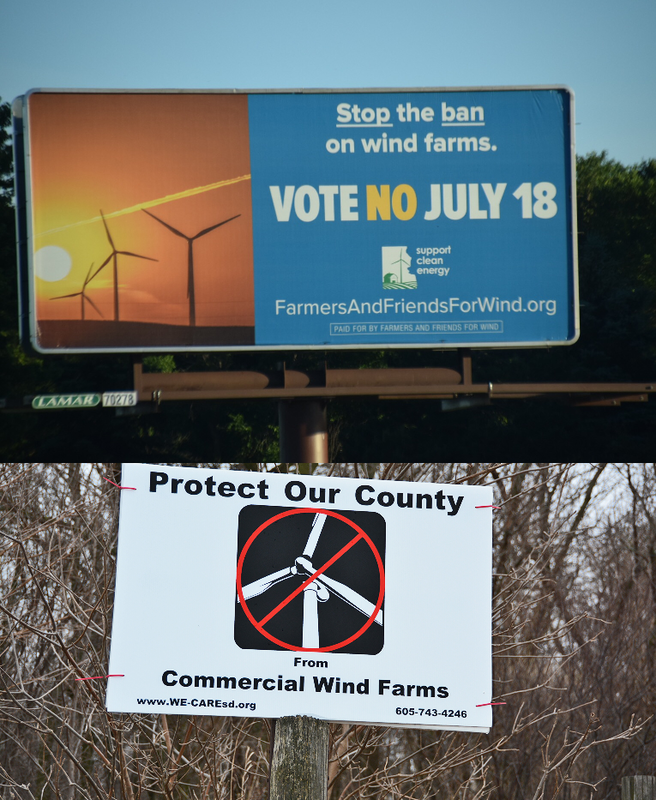 The public votes to either keep the ordinance of a roughly quarter-mile setback between Dakota Wind's turbines and residences or increase the setback to a half mile. The result of the vote could change the future of clean energy in South Dakota. SDPB's Leah Cover joins us with more. This week South Dakota farmers and ranchers can cut hay or graze livestock on more land across the state. The USDA has released additional land under the Conservation Reserve Program to help drought-stricken farmers and ranchers. More than 70 percent of South Dakota is experiencing above moderate drought conditions. Andrew Bork reports on how the drought conditions are affecting ranchers. Where food comes from matters. Where people come from matter. Author J. Ryan Stradal is from the Midwest. His novel, "Kitchens of the Great Midwest" is the South Dakota Humanities Council One Book selection for 2017. The author tours the state this week. You can see him tonight in Sioux Falls, Watertown on July 18, and on July 20 meet him in Pierre. We caught up with one of the state's newest favorite authors for a conversation about grief, walleye, and meeting characters on some of the worst days of their lives. Joel Sartore is a contract photographer with National Geographic Magazine. A new three-part documentary series premiers on SDPB-TV on July 18. It’s called “RARE – Creatures of the Photo Ark.” It follows Sartore’s quest to photograph the earth’s most endangered species before they slip into extinction. Sartore joins us to talk about the project and how a photo can change the future.